Good day everyone! I hope you are well and enjoying this happy Friday. 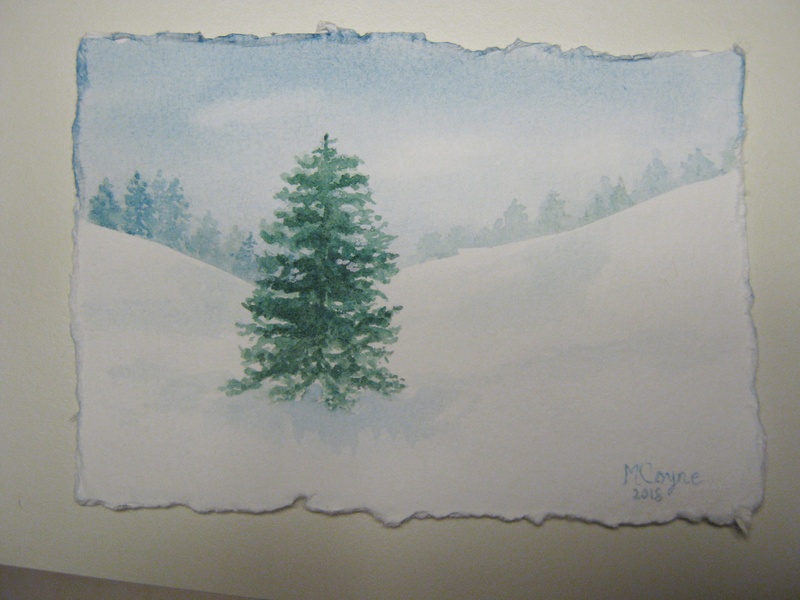 Back in the day, I sent out handmade Christmas cards – that was about thirty years ago. I haven’t done it since and last year a friend who lives in El Paso told me in an email he always looked forward to my homemade Christmas cards. So, this year I decided to do one – and who knows, maybe two or three. But one will definitely go to him. My apologies for the dark photos – we’ve had dreary weather most recently. I finished a card last night (shown at top of post), though I’m still working on little paintings. 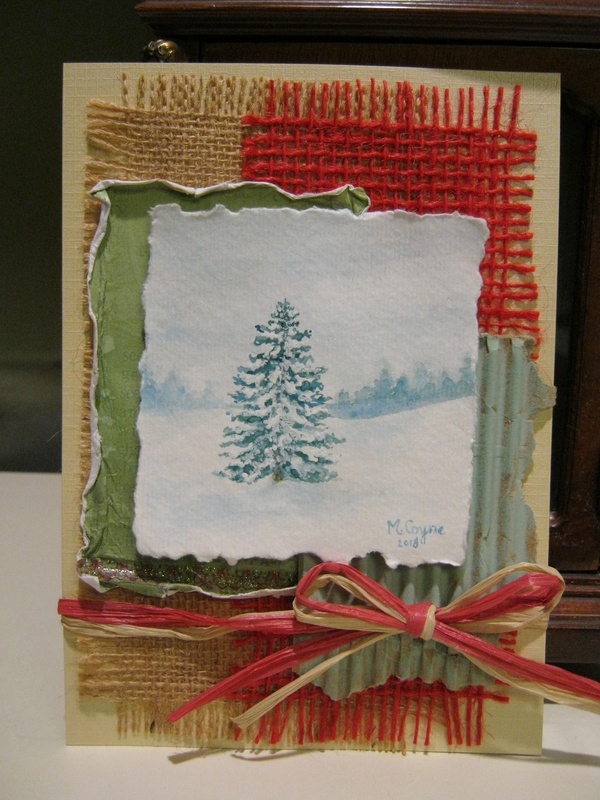 It’s a snowy watercolor, with a background of odds and ends I had on hand which are glued to a piece of card stock tied with a raffia bow. I should paint more corrugated cardboard, as I’m running out of what’s in my stash. They’re always a nice touch to anything. Thank you for stopping by Leisure Lane today and letting me share with you. Enjoy your visit, and feel free to stroll around the Lane. Until next time, may happy days abound. Good day, Everyone, and welcome to Leisure Lane. Kick off your shoes, brew some tea or coffee and lets visit for a while. 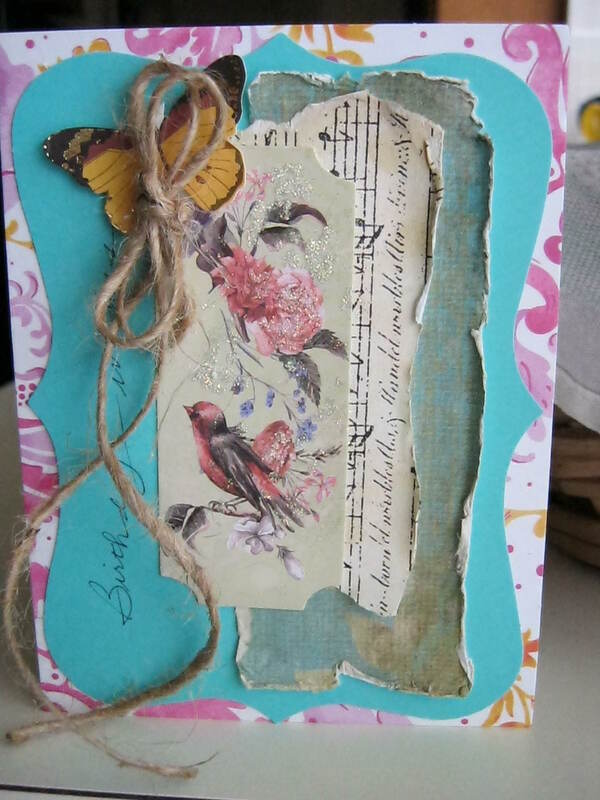 I’m sharing my newest card, which was made with part of a former greeting card envelope and some bits and pieces I collected. 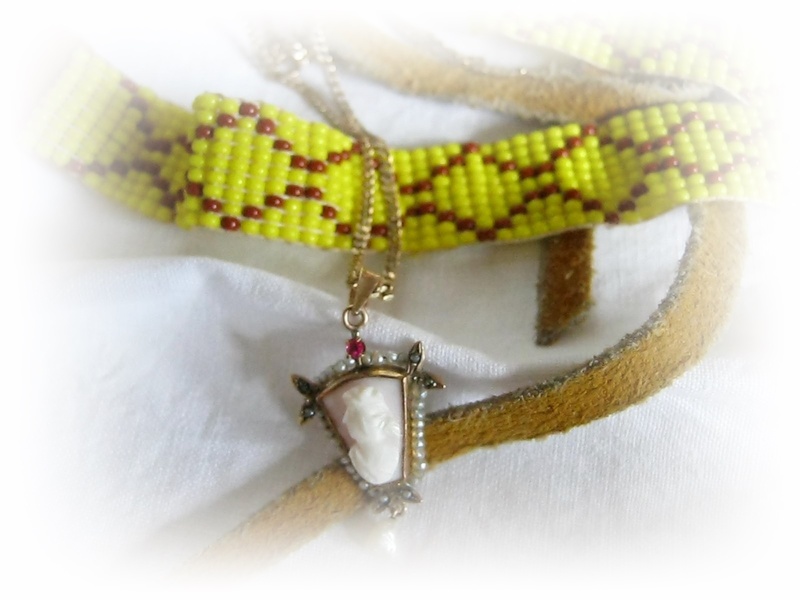 A little bit of splattered paint for a shabby chic effect, and a sweet crown charm that echoes the crown design over the dragon fly. I was thinking of adding a ribbon on top for hanging purposes, but then decided to leave it as is, so it could be displayed on a table or mantle. Enjoy a beautiful day full of promises, and…. I’m currently writing chapter seven of my third novella, River Runs Deep. I’ll keep you posted on the milestones. Thank you for visiting me today. Wishing Everyone a very happy Easter, with many blessings coming your way! 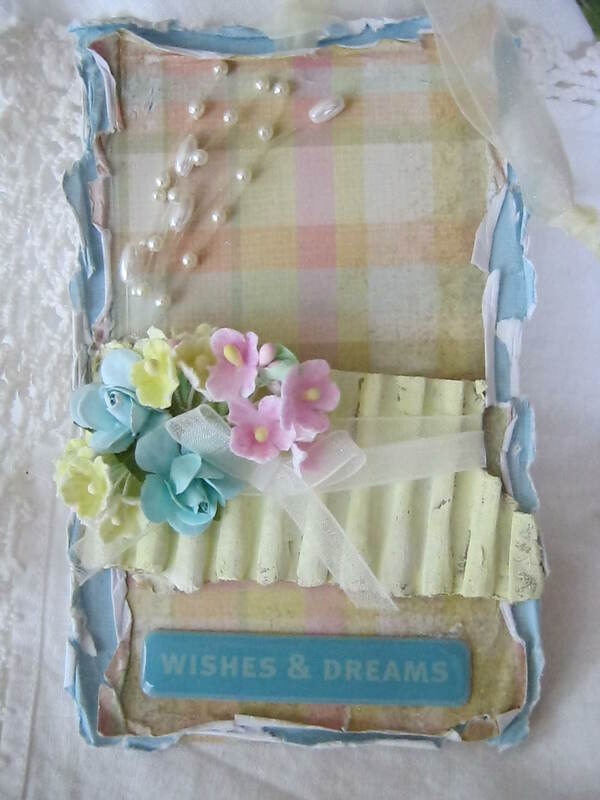 Thank you for strolling by Leisure Lane today, where I’m sharing a new spring-colored “Wishes and Dreams” tag. Pretty light-yellow organza ribbon adds an airy touch – don’t you think? Like a soft spring breeze kissing your cheek and whispering encouragements for your wishes and dreams coming true. Thank you for strolling by the Lane. I hope you are experiencing some promises of spring. 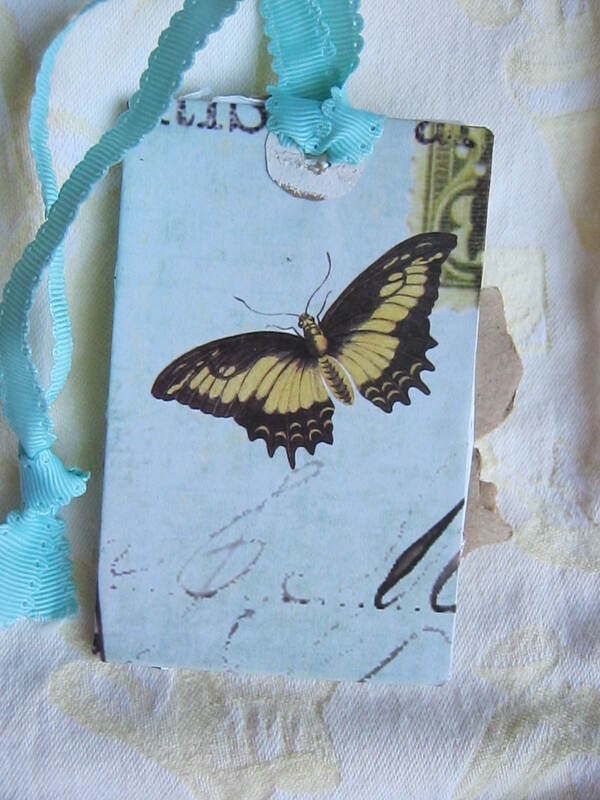 Today I’d like to share a decorated tag I made for a friend. Her birthday is coming up in May, and I collected some sweet items to give to her. I’ll share the final package with you next time. 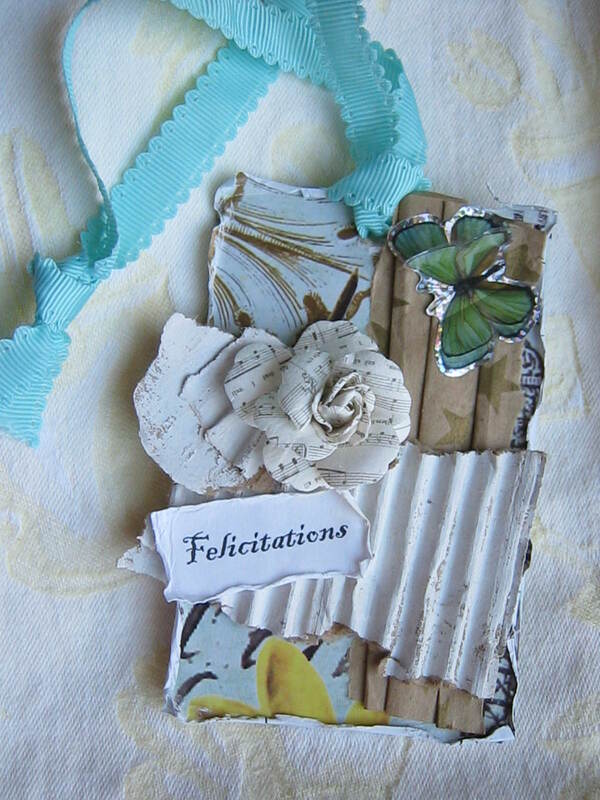 Instead of a birthday card, I decided to do a small tag that she could hang anytime/anywhere – “Felicitations” says it all – a nice reminder to begin the day with joy. She loves butterflies, so I used them as the main theme. The paper background for the tag was taken from a calendar. I bought several back in 2015 at the Dollar Tree specifically for the paper. 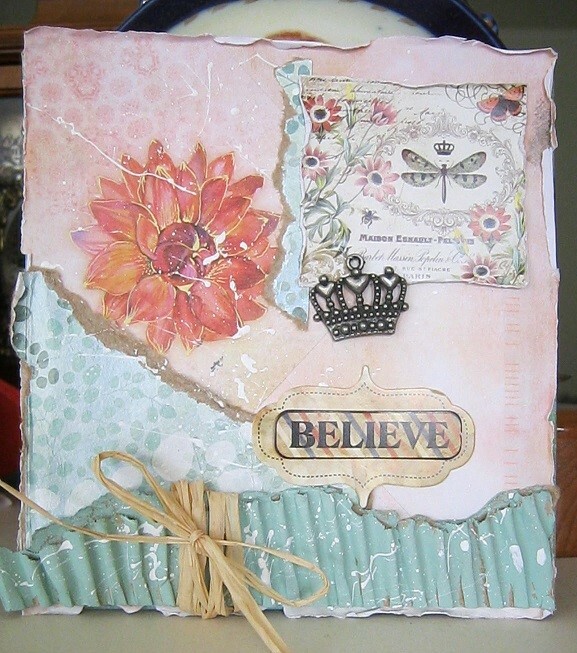 Then added bits and pieces of paper, cardboard, paper rose, and dimensional butterfly sticker. I love the calming effect. I hope you enjoy this tag and this God-given day. Until next time, may happy days abound! Speaking of Spring, I went to a nursery yesterday to purchase fish emulsion plant food. “Ulch”! But the plants really love it. If you’ve never tried it before and you can stand a bit of Ulch, then give it a try. 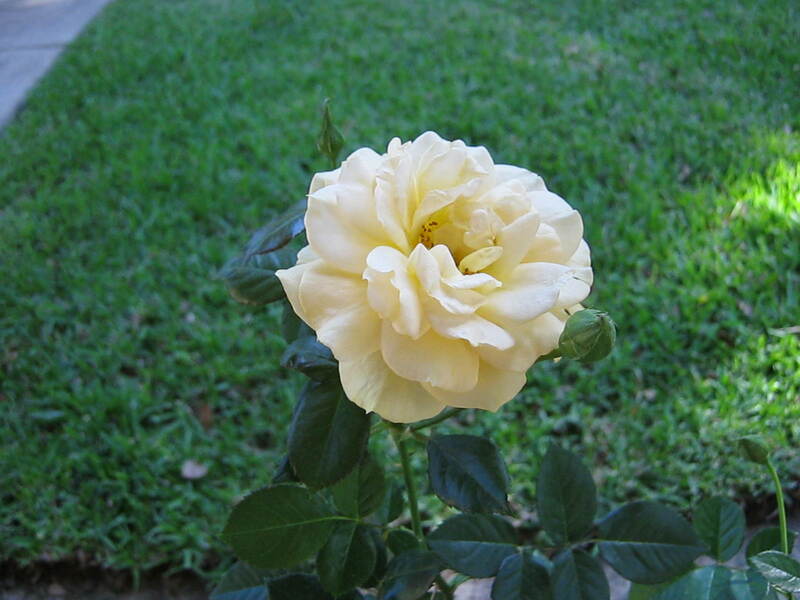 While there, I noticed this beautiful rose bush and couldn’t resist. It’s a Julia Child and the color is Butter Gold – So pretty! 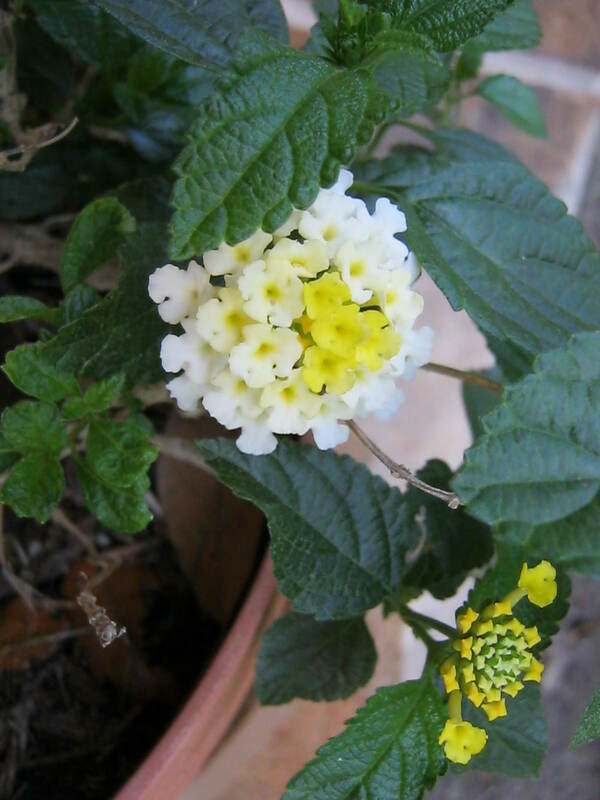 There are other buds waiting to bloom – I’m excited! My pruned miniature rose bush is also flourishing and it beginning to bud. 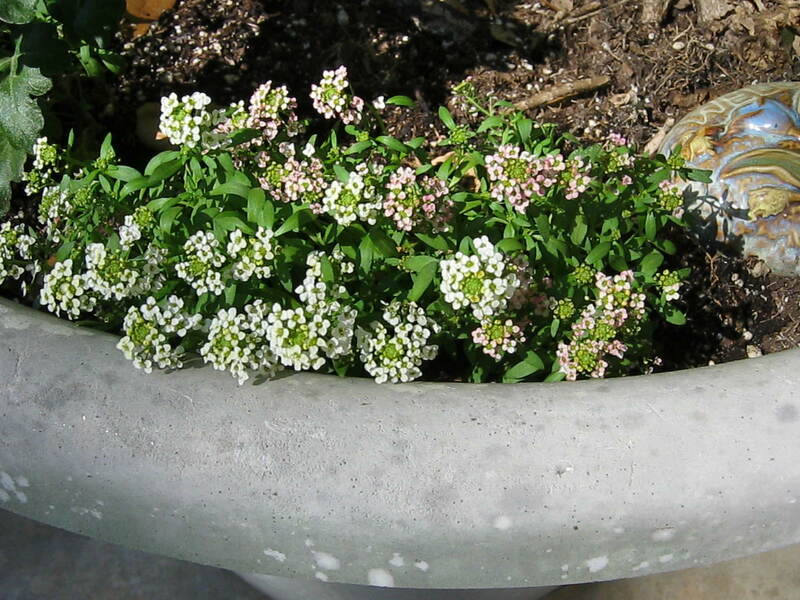 The pruned back Lantana is beginning to bloom again, and the newly planted Alyssum are thriving. Thank you for letting me share this day with you. I look forward to seeing you again. Blessings to you all! Thank you for strolling by today. I want to share a quick birthday card I made for a dear friend. I used a blank note card for the background and card body, decorated a blue die-cut card I found at the dollar store (love to find craft odds and ends there) wrote “Birthday wishes” on the left side, and glued it to the note card. I added a touch of glitter on the focal point and voila! It was so much fun to do and got my creativity flowing again. I hope you enjoy this friendly card, and I hope to make another soon and share it with you.